Award-winning Romanian pianist Eliza Puchianu is to perform a programme of sonatas by Beethoven and Chopin in Galway-Mayo Institute of Technology (GMIT ) on Wednesday next, April 2, as part of a new series of concerts called ‘Magical Moments’ launched by the Institute. Award-winning pianist Eliza Puchianu is in her final year of studies under Professor Reamonn Keary at the Royal Irish Academy of Music (RIAM ). She has studied under Roland Batik at the Konservatorium Wien University in Vienna and has won numerous awards in national and international competitions across Europe including the Yamaha Piano Scholarship, the Nordell Cup 2013, Ludving Cup 2011, Audery Chisolm Cup 2010, Lieder Duo 2010, and English Song Cup 2010. 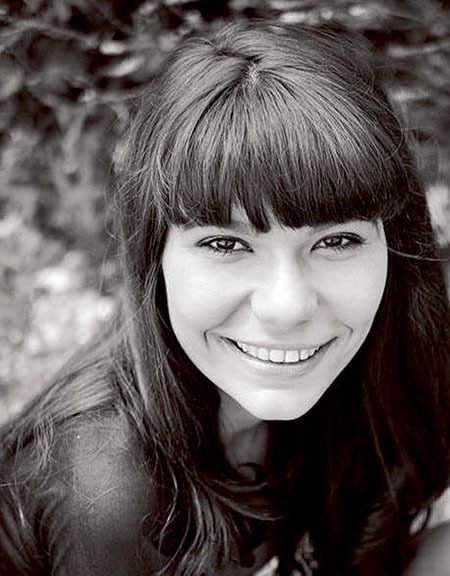 She has performed as a soloist in the Romanian Atheneum, Sofitel, and with the Romanian Radiodifusion Society Orchestra, and in festivals such as Opera Briefs Productions and the Edinburgh Festival. The concert takes place in GMIT Galway (Dublin Road campus ) on Wednesday April 2 from 7.30pm in Room 903 (new building ) with free parking available for attendees. Tickets cost €12, €10 (friends & concessions ), and €6 for students.